To prevent harmful debris from entering your engine, you’ll need to occasionally replace your engine air filter. Driving with a damaged filter can cause your engine to stall, misfire, and wreak havoc on your fuel economy. We’ve got the filter you need. 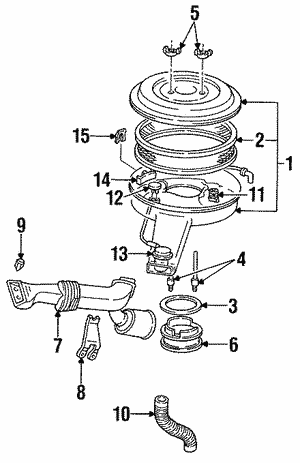 Genuine OEM parts are guaranteed to fit your GM as seamlessly as the parts it came with. OEM engine air filters are manufactured using only the highest-grade materials. To maximize the efficiency of your vehicle, rely on OEM filters to keep things clean. GMPartsCenter.net offers wholesale pricing on OEM GM parts. Because our selection is vast, expedient shipping is guaranteed. Find your engine air filter below.